A line of select beauty-care products, designed to meet the standards of the finest, most exclusive Spas, Health farms and Skin Care Centers worldwide. They can also be used very effectively at home. 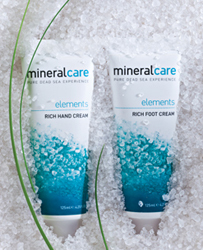 Mineral care SPA offers high-performance beautycare in innovative, clinically tested hypo-allergenic skincare formulas, based on the skin-beneficial properties of Dead Sea minerals combined with natural and aromatic oils.